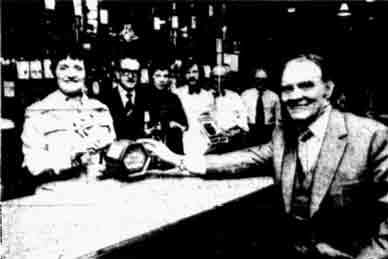 To read the full history of this popular bar click here. Also see Thomas Galloway, 9 Sauchiehall Street. 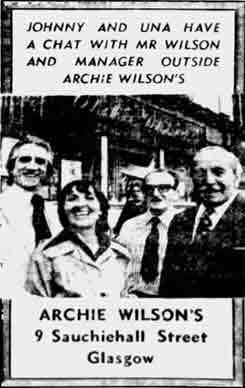 Archie Wilson’s advert with Johnny Beattie and Una McLean. 1976. Interior view of James D Wilson, 9 Sauchiehall Street with Glen Daly. 1976.